Rohan Singal is a life coach and a mentor at Rejoiss Learning LLP. This blog contains inspiring stories and video links. It also has articles and some practical tips on how to be a powerhouse in life, how to maintain your shine and glow, how to treasure your uniqueness. Wishing you sustained prosperity on this festival of Diwali. I recently read a book “Power of your subconscious mind” by Dr. Joseph Murphy. This book has many real-life stories about how people transformed their lives by changing their beliefs. The fundamental thought in the book is that your conscious thoughts play less than 1% role in your reality. We are gifted with a subconscious system. Ever wondered how we keep breathing, heart keeps pumping, a cut clots quickly, without any conscious thought or action on our part. That is our subconscious mind running our body system. Dr Murphy says that everyone’s subconscious mind is connected to an infinite intelligence (The FORCE – as the STAR WARS fans would say). The subconscious mind makes your deeply held beliefs true by attracting people and situations. The conscious mind codes the subconscious mind through its internal dialogue: our every fleeting thought is coded !! If you ever wondered why the flow of wealth in your life is not in line with your potential, your internal dialogue may be responsible and you can change it ! What struck a chord with me about this book is what makes the wealth fly away is ENVY. Many of us are envious of people who are doing better than us. We rationalize and conserve our self-worth by our internal dialogue. We find some points where we are superior to these people (e.g. I have more time for my hobbies and family. I am healthier. I have work-life balance). Sometimes we question the means used to accomplish the wealth (Must have done some shady deals or manipulation. Being honest doesn’t pay. You have to kiss up your way to success. These methods my conscience doesn’t allow). These internal dialogues of envy deplete our energy (short term loss) as well as code scarcity in our subconscious and block the wealth coming our way (long term loss). The solution suggested? Rejoice in the wealth and success of others. That is the only choice we have if we wish to be prosperous in line with our potential. That way our subconscious will include wealth and bring it to reality as well. How to rejoice? By thinking “May this person continue his success and do better in life”. This may appear difficult in the beginning but it is worth the effort. 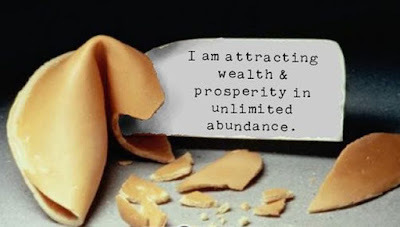 The affirmation (in the image) “I am attracting wealth & prosperity in unlimited abundance” will work well with this thought. However, any envy will nullify this affirmation!! This Diwali, may you rejoice in the wealth and success of others and thus, wealth and success you truly deserve, come your way!! Can giver behaviour sabotage a relationship?